Your inbox is no doubt overflowing with all of the pre-Black Friday, Black Friday, Cyber Monday, and extended Cyber week sales. I love shopping but there is so much information to wade through at this time of year. 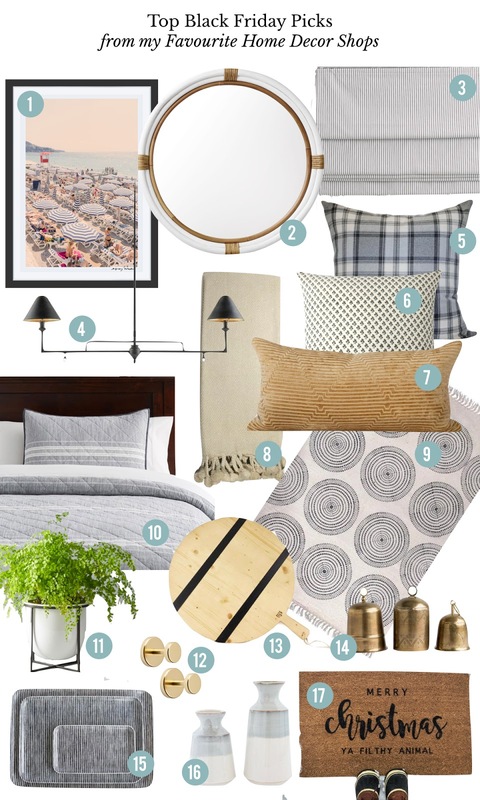 With that in mind, I'm sharing my top home decor picks to shop for this week. Each of these items are classic pieces that will work almost anywhere and they're irresistible if you snag them at a good sale price! 3. This roman shade from Pottery Barn has two awesome features: it's cordless and is in a ticking stripe fabric. What room couldn't use a shade like this? 7. This gold cut velvet lumbar pillow adds that bit of luxe to your pillow mix. Grab it at Tonic Living, free shipping, no minimum. 9. While you're on the Rainsford Company site (one of my fave online destinations! ), check out their rug collection. This Cleo rug is neutral but far from boring. 10. Shopping at PB Teen or Pottery Barn Kids is one of my favourite 'tricks' - you get Pottery Barn quality at cheaper prices. This PB Teen Windward Stripe Quilt & Sham is a great example of a product that will look good in adult environments too. 14. Brass bells are the "it" accessory of the season. Shop for them at McGee & Co. Use code THANKYOU to get 20% off everything. 15. Another McGee & Co favourite is this Gray Stripe Linen Tray. I use one in my home office to corral small accessories. 20% off with code THANKYOU. 16. The muted hues of these gray dipped vases make them a versatile, go-anywhere choice. 20% off with code THANKYOU. 17. As a final touch, I love this cheeky holiday doormat. If the saying isn't your cup of tea, you can find dozens of other doormats with sayings on Etsy. 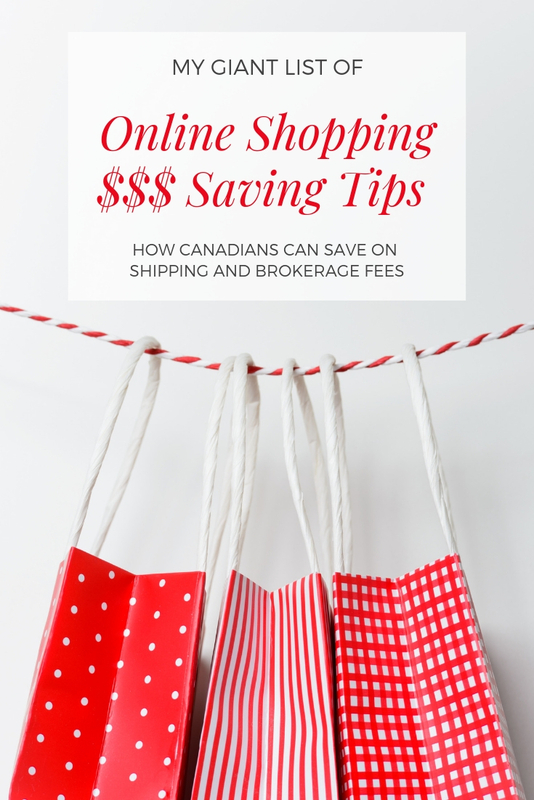 And, before you into the Black Friday frenzy, don't forget to check out my Giant List of Online Shopping Money Saving Tips (with specific tips on how Canadians can save on shipping and brokerage fees, plus how you can shop sites that don't even ship to Canada!). Happy shopping!